What better way to celebrate a milestone birthday or a corporate holiday party than feeling young and fancy-free at the circus? The excitement of a circus-themed party is a timeless celebration for all ages. Great for kids… a blast for adults! 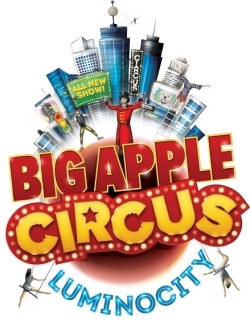 This year, Big Apple Circus presents Luminosity, celebrating the vitality of life in New York City and the everyday people you see on the streets: a dog walker whose pups perform amazing tricks, business women holding their meeting high above a double trapeze, and many other fantastic feats! Choose from one of the three packages and personalize them by adding entertainers, a cocktail bar, a themed circus cake, and more! Parties are customizable for toddlers to grandparents so embrace your inner child and celebrate under the big top! 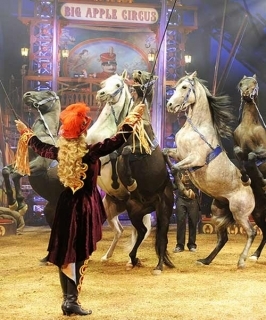 The Big Apple Circus is open October 25 through January 12th !! Planning a party outside of these dates? Let us bring the circus to you… check out our Custom Carnival Parties! Celebrate your special day at one of the most magical locations this season, surrounded by the atmosphere of Ooohs and Aaaahs. Includes Large Private Lounge Rental, VIP restrooms and coat racks. Includes a greeter with complimentary clown noses for guests. Wine, beer or full bar available upon request. Includes photo op with cast member. $13 for each additional party guest. For a seating chart for the the Big Apple Circus click on the following Link.